Modern RnB: Ultra Cool Keyboard Loops, Hip Hop / Rap / RnB Sample from Equinox Sounds. Equinox Sounds has released 'Modern RnB: Ultra Cool Keyboard Loops', a downloadable collection from its content partner, Smash Up The Studio. 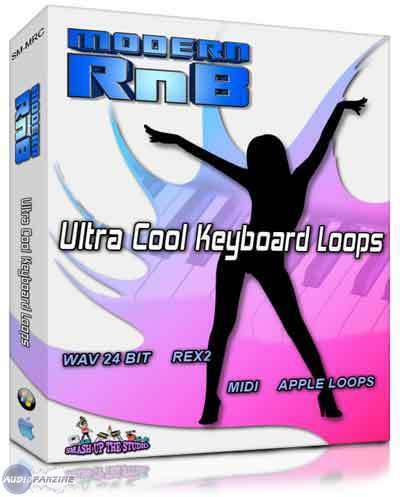 'Modern RnB: Ultra Cool Keyboard Loops' is designed to reproduce the more synth based elements being used in the latest RnB tracks, while still creating melodies and chord structures with pianos, guitars, and strings. The collection includes 60 4 bar keyboard progressions ranging from 60-110 BPM. Each loop was recorded in 24 bit Wav format and comes in WAV, MIDI, REX2 and APPLE LOOPS formats. 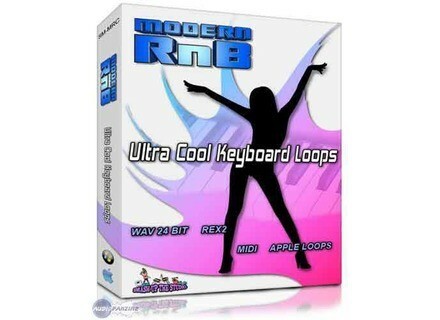 'Modern RnB: Ultra Cool Keyboard Loops' is currently available for $29.95 as a download. More information and audio demo available online at www.equinoxsounds.com. MOTU BPM Updated To v1.0.2 MOTU has announced that it has updated BPM (Beat Production Machine) to v1.02. EastWest Modules Updates EastWest has released instrument updates for Fab Four (v1.0.2), Pianos (v1.0.5), Gypsy (v1.0.3) and Ministry of Rock (v1.0.4).